Containers used in a commercial high rise. Drivelines Studios is a residential building in Johannesburg, SA. 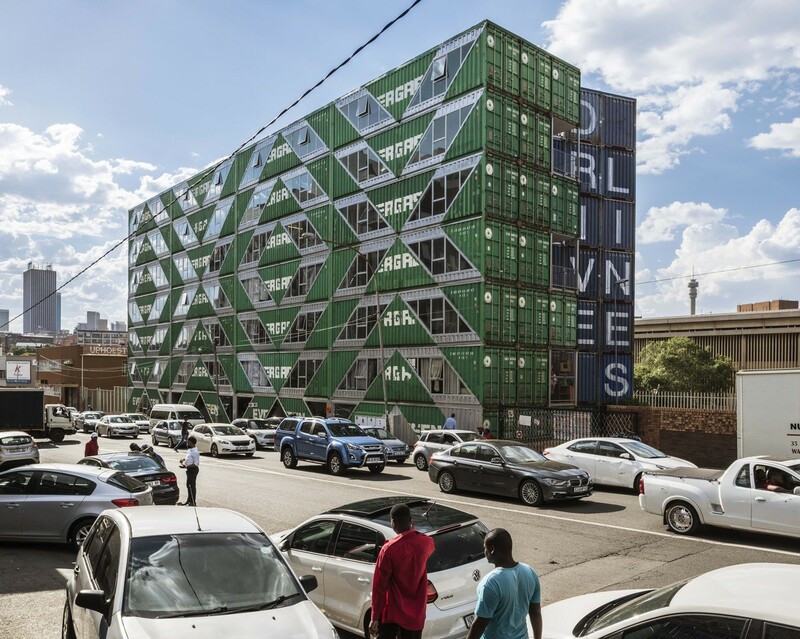 Located in Maboneng, an area of recent urban transformation and renewal, it responds to the post-apartheid generation’s desire to repopulate the city’s downtown through new models of urban living.